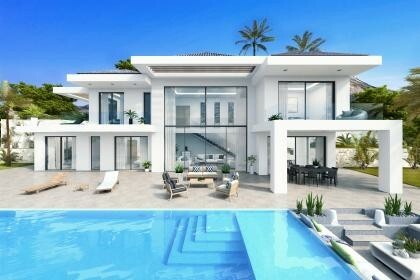 Unique modern villa of original design, located in Monte Olimpo, one of the newest urbanisations on the Costa Blanca with the best infrastructure and beautiful views to the sea and the valley. 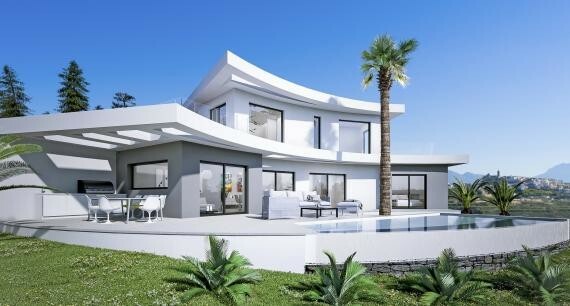 The house is located on a 1000 m2 plot and has 190 m2, 3 comfortable bedrooms in suite, bright living and dinning room with a modern fully equipped kitchen, beautiful terraces and infinity pool. 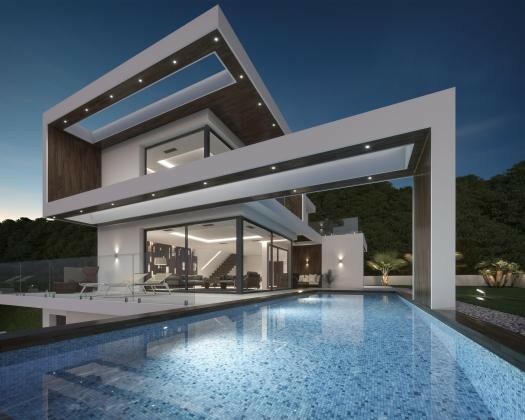 The house is designed and will be built with the highest quality standards, using the best materials and latest technologies for your comfort.